The Donetsk City Court, Rostov region of Russia, rejected the defense’s motion for questioning the prosecution’s witnesses directly in court. Savchenko’s defense filed that motion during the trial, since almost all of the prosecution’s witnesses were questioned remotely via video conference, from Voronezh [about a 5.5 hour drive north of Donetsk, Russia]. The connection was bad, as was the video feed. During the questioning, some of the witnesses gave the impression that they were being prompted [as to what to respond]. The defense filed a motion for the immediate delivery of witnesses, injured persons, and experts to the courtroom, including [key prosecution witness, so-called “Luhansk Peoples’ Republic” leader Igor] Plotnitsky. Lawyer Nikolai Polozov tweeted: Defense filed a motion [habeas corpus] for the direct delivery of witnesses, victims, experts to the courtroom, including Plotnitsky. On Wednesday, the court continued questioning the witness Pochechuyev, an employee of the FSB, who allegedly got the call from the DPS [Road and Patrol Service, Traffic Police] to take Savchenko. They [the DPS] had previously stopped the car in which two Russians had allegedly given Savchenko a ride, because the driver was not wearing a seatbelt. Then, during the inspection, it became clear that Savchenko had no documents [identification]. Witness “Alexei Pochechuyev” in a gray wig and dark glasses in Voronezh court. Photo source: Anton Naumlyuk via Alyona Shevchuk. 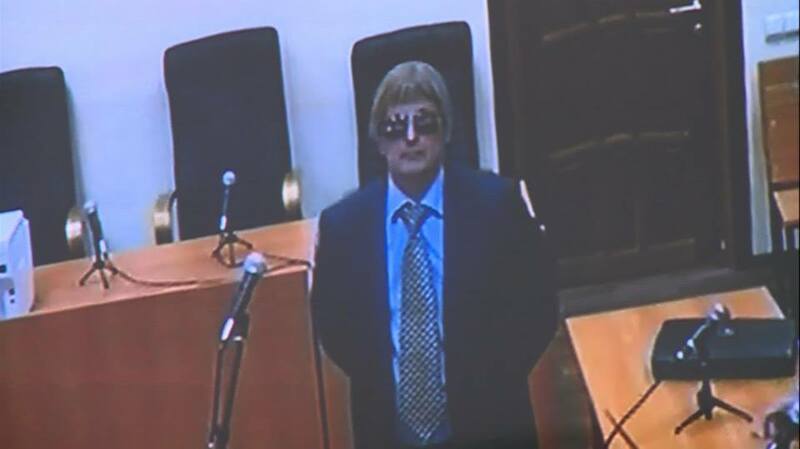 Pochechuyev, wearing a wig and sunglasses, admitted that he was wearing makeup [for disguise]. At that time, Savchenko tried to clarify with the court whether he can see her well enough to claim he can identify her. “I don’t see any witnesses. And if the prosecution asks [them] whether the person in the cage is the one [they are testifying against], they answer “yes,” but I’m not convinced. I think that the people who are testifying against me voluntarily should not be hiding their face and should be present in court,” – she said. – Can you see my face? – I can see it. – And now do you see it? 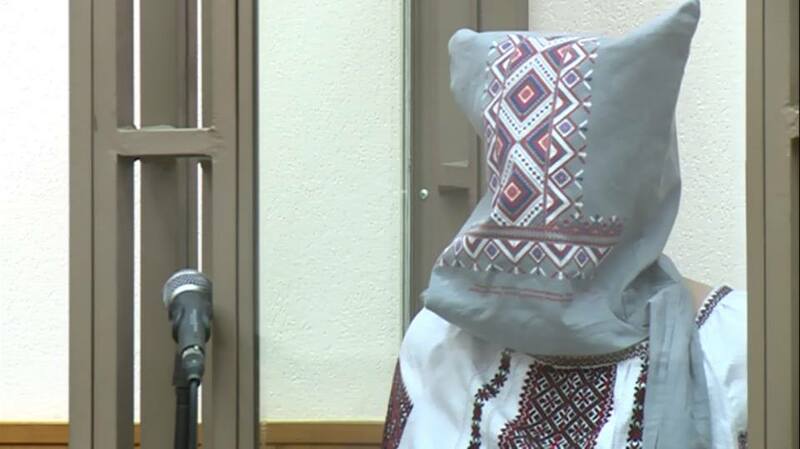 – asked Savchenko with a bag on her head. – How many fingers [am I holding up]? – asks Savchenko and shows her hand toward the camera. – I can see your face, – said Pochechuyev. Savchenko’s defense believes that the person [testifying] in court [from Voronezh] is not Pochechuyev. “I think this is not Pochechuyev before us,” – said [lawyer Mark] Feygin. Defense lawyers who are located in Donetsk, are joining [lawyer] Novikov’s request (he arrived in Voronezh unexpectedly) to question the “person introducing himself as Pochechuyev,” behind closed doors to find out whether it [really] is Pochechuyev. 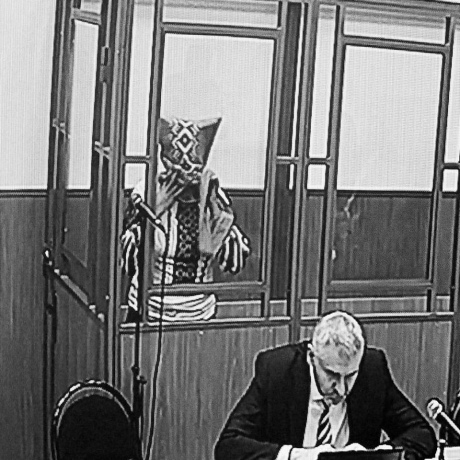 “This is a three-ring circus!” – Polozov commented, backing up his opinion as follows: the witness changed his appearance, of which he informed the court; he refused to put his signature [on documents]; and the defense does not know which documents were submitted to the court to establish the identity of this man. The defense made a motion for the immediate delivery of witnesses, victims, and experts to the court, including Plotnitsky. The court refused.